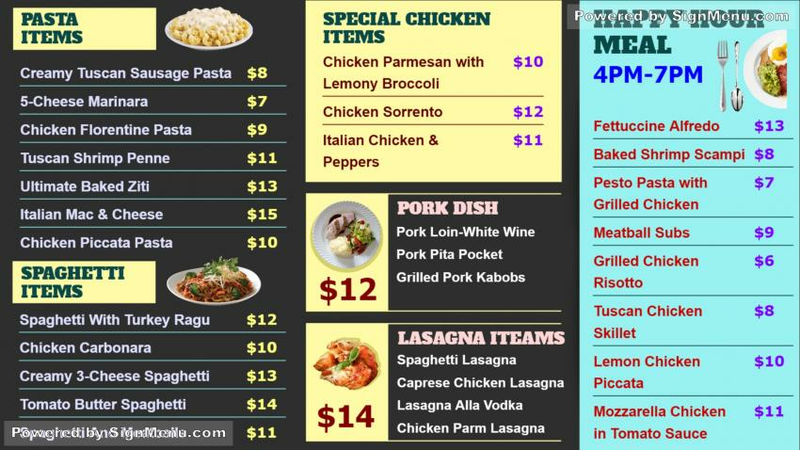 This template is best showcased on a digital menu board and placed indoors or at the entrance of the restaurant. Restaurants worldwide are adapting to digital menu boards for growing their businesses quickly. Digital software has further bestowed several benefits to the restaurant owner whereby he can engage with his customers more effectively, and at the same time can monitor on his inventory and interface with his suppliers better.This template is ready for download and use.